Berman has founded several leading non profit organizations known for their fact-based research and their aggressive communications campaigns. 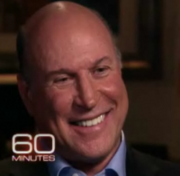 Rick Berman has testified on numerous occasions before committees of the various state legislatures, the U.S. Senate and the U.S. House of Representatives. The Hill, a popular Washington, DC newspaper has named him a “Star Rainmaker” on Capitol Hill. Rick has appeared on all the major broadcast and cable television networks, and has organized national coalitions to address a wide variety of issues.